Time to celebrate – bring on the cakes! Thanks to our clients, guests and supporters who came along to Aqua Eight’s garden earlier this month, to preview the website before it went live and to help us celebrate its launch. There are always umpteen people involved in creating a new brand, a website and running any launch campaign. A special mention for the new Affinity PR branding must go to Tim Maulden, for his elegant graphic design and his ability to keep a straight face while Helen Oldfield is giving him the briefing and the budget allocation. Sree Koyickal also must be thanked for having the patience of a saint in building quite a complex website! Our team’s standards and expectations were always going to be set sky high and, to their credit, these two gentlemen exceeded them. Thank you also to our clients, the award-winning Aqua Eight in Ipswich, UK, who were kind and generous beyond belief in looking after our event guests as their own. You can see what fun was had in the Gallery pages of the Affinity PR Facebook page. We’ve been astonished and touched at so many kindnesses and offers of help from our clients and suppliers, all keen to support us through this next stage in Affinity PR’s development. I’d like to recommend a redraft of that old phrase “Give and take”; in our experience it’s been a never-ending circle of like-minded business people giving to one another, and it feels great to know we can count on their support. 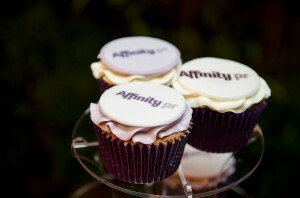 Affinity PR’s new look and website will be launched this month. It has felt like a proper labour of love (in fact, babies have taken less time to be born, go to school and start bringing unsuitable boys and girls home). Affinity PR always was more “tortoise” than “hare” in temperament and business values. The pressures of daily business life (usually a print or copy deadline in our case) won’t make us buckle, but we’d so much rather put in place all the research, planning and measurements to ensure we can steadily cross the right finishing line without gasping. Our job is to make business life much easier for our clients. Over the next few weeks, you’ll see here a steady stream of new postings from Helen Oldfield, Director and founder of Affinity PR. She’ll be talking you through some of the main marketing and reputation management decisions you may need to take in your career, along with some news, case study examples and PR tips. Hope you will enjoy learning more about life at Affinity PR. We build brands and business relationships. Raindrops Keep Falling On Your Head? Invest in Branded Brollies! Will everyone please shut up?